We had an enquiry recently from a company that were already using a factoring service from a bank owned factoring company. They were so fed up the lack of service and the lack of funding that they were considering leaving altogether, and wanted an alternative form of finance. To illustrate how bad the situation was, they mentioned a large schedule of debt that they had just submitted to their funder, the previous week. 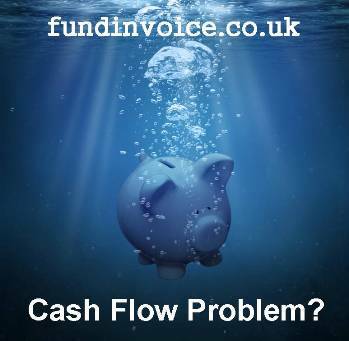 They initially received just 6% funding against their invoices, way below the level of funding that they needed or expected. After some effort they had managed to get the funding increased to a more respectable amount, however they felt that the facility was becoming too troublesome and time consuming to be worth while. Hence they wanted to look at a loan in order to replace factoring. The first issue that we discussed with them is the concept of replacing a revolving credit facility, such as invoice finance, with a loan. The loan is for a fixed amount that decreases as it is repaid over the term of the loan. Factoring grows (or should!) in line with the sales turnover of your business. In this way, you can find that they funding grows rather than decreases. This can help you remain liquid, and able to pursue growth, rather than having to manage with a reducing amount of funding. In some cases the cash position of a company can be such that this is a route that they want to take, but it doesn't fit in all cases. If you do want to get out of factoring we have plenty of advice on our site, including switching to a loan. The other aspect to consider is that there are huge service differences between factoring companies, not to mention pricing differences (we found a 165% pricing differential between the most expensive and cheapest factoring companies in one study). In service quality comparisons that we have conducted, we have seen average customer ratings as low as 4 out of 10 for some factoring companies, and as high as 9 out of 10 for others. We also found that they customers of independent factors tended to score their service levels 45% higher than their bank owned competitors, on average. So in the case of this particular prospect, we encouraged them to let us find some quotes for them from the players at the top of the service level table, as the product offering is likely to be completely different. However, the fear is that the damage has already been done and they may be set on a course to move to loan based funding, crowdfunding or a peer to peer offering. Time will tell. If you are fed up with your bank owned factoring company let us help you find an alternative, call Sean on: 03330 113622.